My first ever blog post was written nine years ago today. 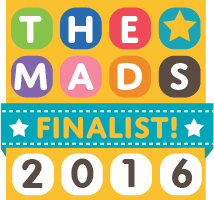 It was short and sweet, explaining that we had just been given a diagnosis of autism for our two year old daughter. 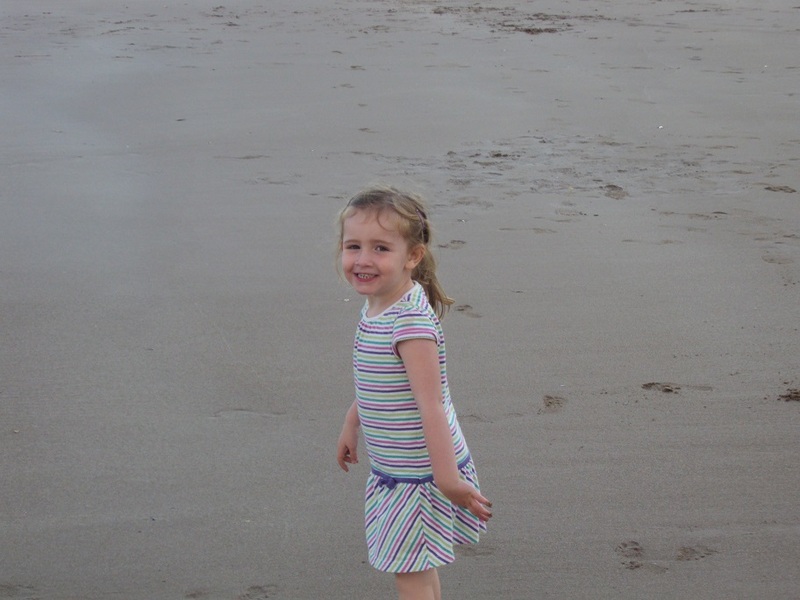 Several months later we stumbled across descriptions of the Pathological Demand Avoidance profile of autism on the internet and realised instantly that these characteristics described our girl in more detail than the over-arching autism diagnosis. Over the nine years which followed, I've written 854 posts (855 if you include this one) covering a variety of experiences in our family's life. I had no clear strategy about blogging when I started, and still don't now (oops). 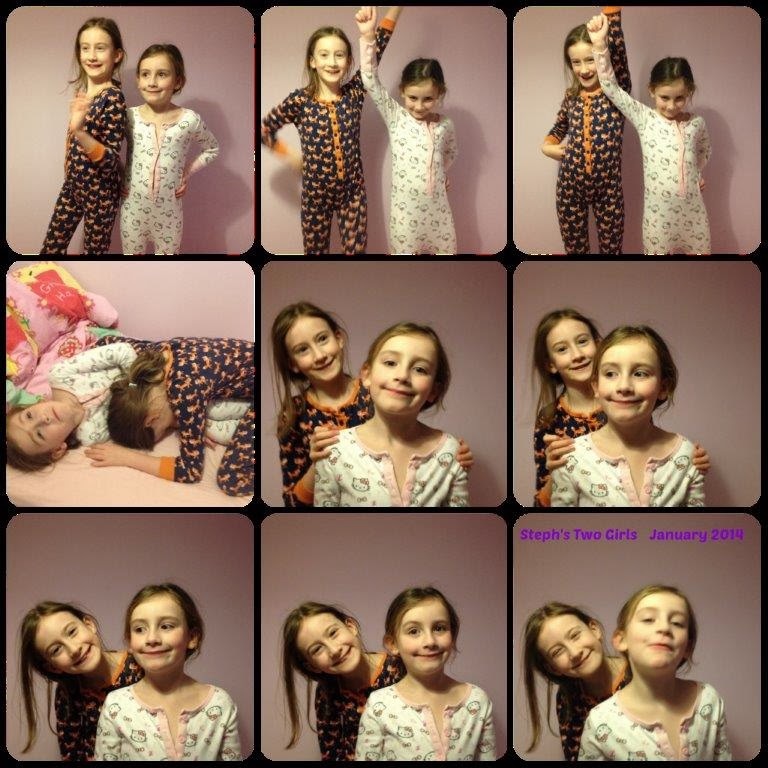 This blog was, and still is, an online diary to share what has happened to us over the years. The original aim was to teach other people about how Sasha was different, with the hope that if others understood her better, it would make her path through life run smoother. It wasn't only for Sasha though; I instinctively felt from the start that her sister's life would also be different in many ways to that of her peers. I still think it's important that this is recognised. What I didn't realise when I started out, was how much money this blog would save me - free therapy! It has also gifted me lots of new friends; some of whom remain behind a screen because they are too far away but many who I've met 'in real life' thanks to various blogging events. Too many to list them all, but I hope you know who you are. The blogging community is a vast and mostly supportive one and I'm proud to be a part of it. I was over the moon to be named as one of the Top 11 Inspirational Parenting Bloggers over on the BritMums site recently; I've never been in this blogging world for the glory but it is of course lovely to be recognised and applauded. 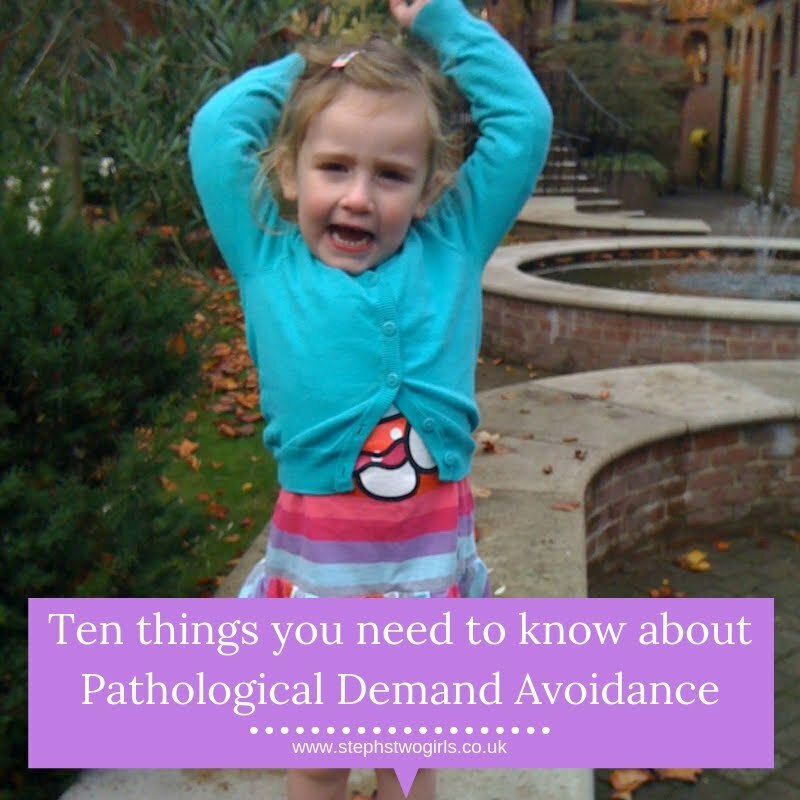 The mission behind the blog has changed slightly; my ongoing aim now is to spread the word and increase understanding about Pathological Demand Avoidance. 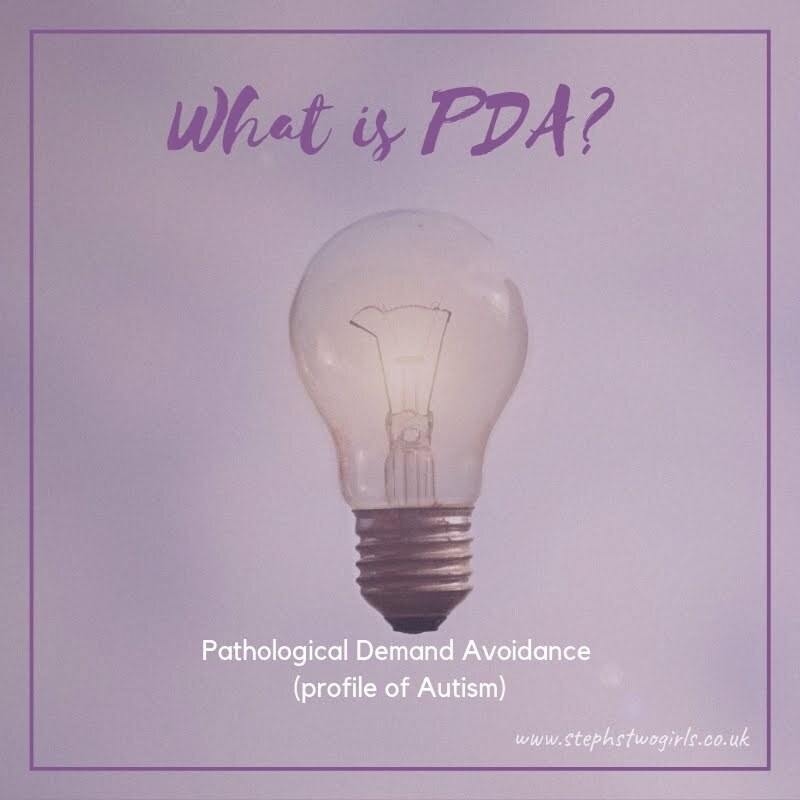 There are still too many people out there who have not heard of PDA at all, and yet many of us are living with it every day. 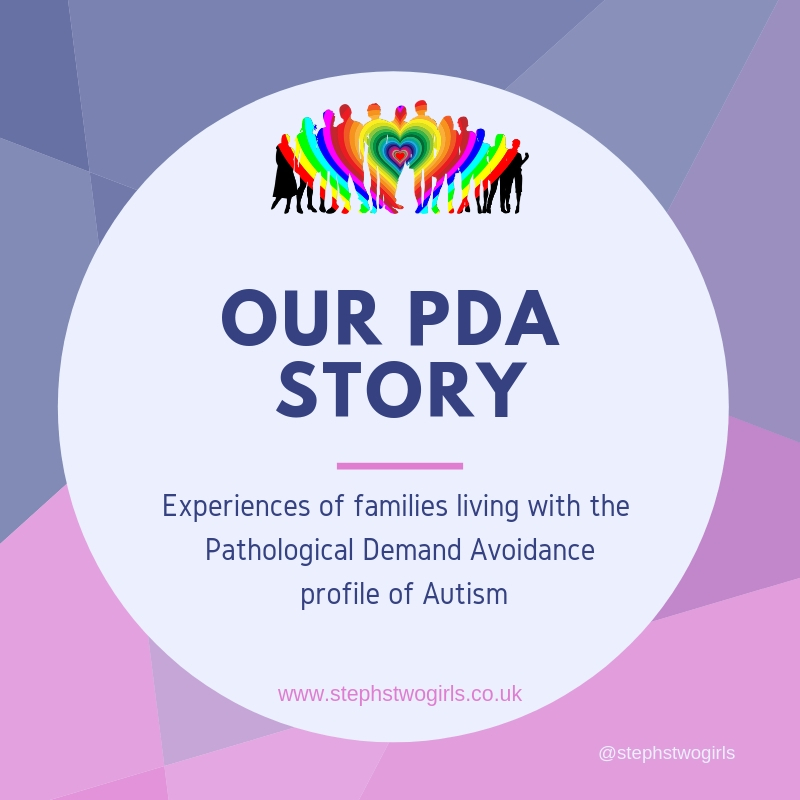 Proof of that can be found in all the posts in my series 'Our PDA Story' where other families and individuals have shared their experiences, explaining the effects of PDA on their lives. This time last year we were still in limbo, not knowing what would happen next. 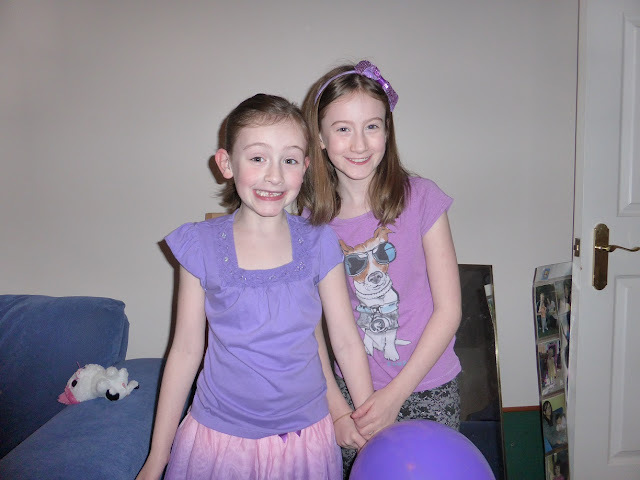 Now, Sasha is attending school more often than not (just); you can read our journey from diagnosis up until summer last year in this post: Our PDA Story (week 35). Sadly, unless Sasha becomes settled in school it's pretty impossible for me to commit to any kind of regular job outside of the house. 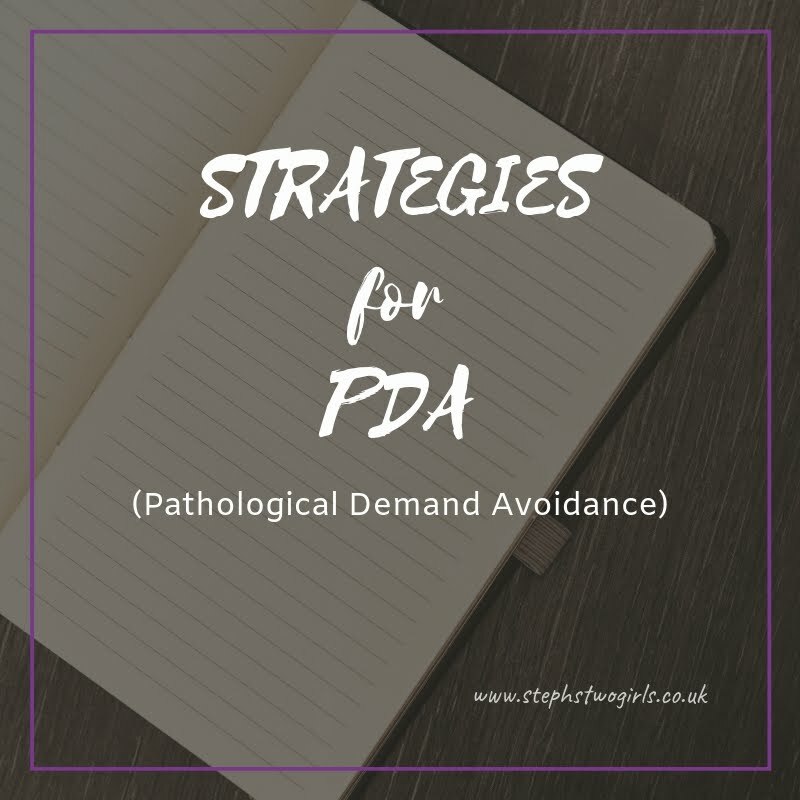 For now I just do some training about PDA on behalf of the PDA Society whenever I can, I act as a parent representative locally and I write this blog. The latter is a lot more work than it sounds, as I'm sure other bloggers can testify to! Social media plays a big part in getting the message across and is of course very time-consuming. The lovely messages I've received from people over the years thanking me for the help tell me it's all worthwhile though. These days I do a lot more writing and blogging over on my Facebook and Instagram pages. It's known as micro-blogging; a way of sharing daily when things just don't seem worthy of a full-blown blog post. Or maybe not so much that they're not worthy, rather it seems more 'official' and to take more time to write a post on the blog. So if you like chatty updates and are nosey enough to want to see what we get up to, please do follow me over there too. Just recently I've been telling the tale of how Sasha has decided to pick up roller skating as a hobby... fingers crossed this passion lasts! An area of social media I've not focused on yet is YouTube; I'm not confident at all in front of a camera but feel like I should give it a go... so watch this space. In fact, if you're feeling extra kind, you could sign up to my YouTube channel www.youtube.com/c/stephcurtis and then maybe I'll feel more inspired to get a move on if people are waiting for my pearls of wisdom! 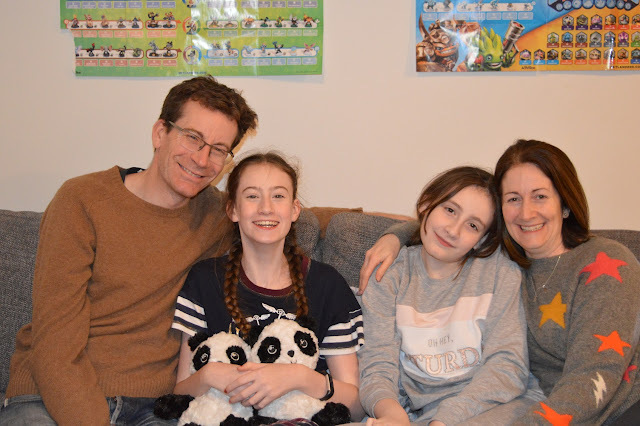 And as a rare treat I'm sharing with you a whole family photo - taken on 31st December 2018. A great way to end the year I hope you'll agree! 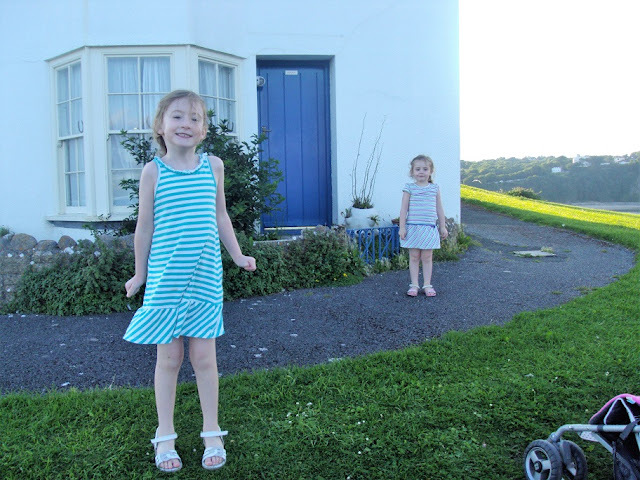 A Blogiversary (yes, it's a thing) post like this is mostly just a good excuse for me to trawl through the photos and think 'oh, weren't they cute' and 'oh how I wish my photography had been better back then'. Hope you've enjoyed the pics too; I'd be chuffed if you decide to continue to follow our journey! Happy blogging birthday! 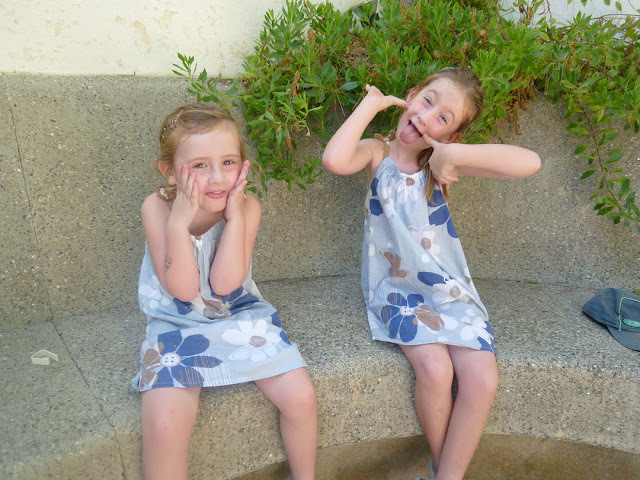 What smashers you have in your two girls and there is no doubt in my mind that I will continue to follow you until you stop! I have learnt so much from your writing. Thank you! Being a new reader I love seeing all the old photos of your girls. 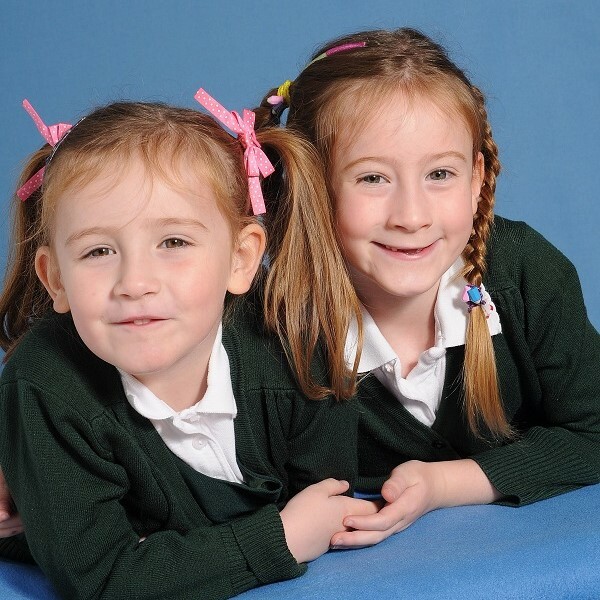 Happy Blogiversary, the recognition from BritMums is well deserved your doing an amazing job for PDA awareness.